An experienced technical and creative theme park elements designer. Gideon has over 15 years of experience in the architectural design industry, with special expertise in detailing and field installation. His project experience includes retail, commercial, residential, museums and theme parks. As Senior Designer at IRMS, Gideon is responsible for overseeing the design and production of projects from concept phase through the production stages. 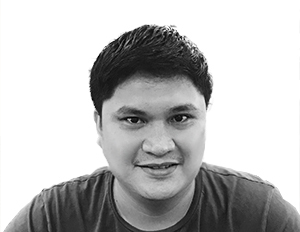 A trained architect from the Philippines, his theme-park experience was honed during his previous role as a turn-key design vendor for Universal Studios Singapore, and has since continued to expand his portfolio of themed entertainment venues in the region. Gideon has a wide range of skills, some of which include: 3D-CAD, 3D studios Max, carpentry, metal works, FRP molding, and GRFC rockworks. His broad repertoire of technical design skills has provided solutions for projects ranging in scale, diversity and complexity.